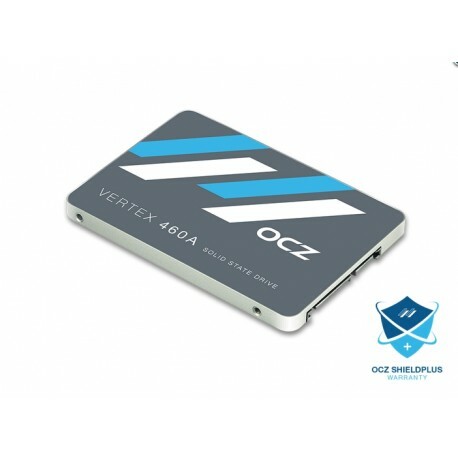 OCZ, the most awarded SSD brand of all time, introduces the Vertex 460A for those seeking a high-performance yet value-minded SSD. Combining OCZ’s own controller design and Toshiba’s latest generation of flash, Vertex 460A keeps your system ahead of the game and delivers a faster, more responsive PC experience. 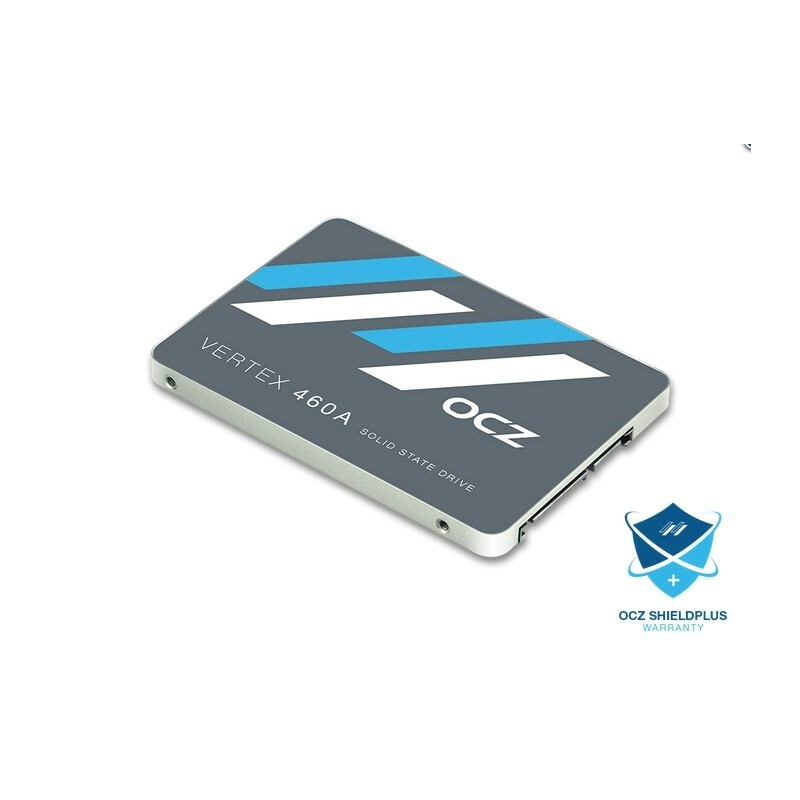 The OCZ Vertex 460A Series delivers the performance, productivity, and energy efficiency you’re craving from your system. Say goodbye to lag and get a computing experience worthy of your time. Do you write a lot of data? Vertex 460A delivers leading write speeds that you won’t get with any other solution. No fancy behind-the-scenes tricks, just pure storage performance. Imagine faster file transfers, snappier boot ups, and system responsiveness that makes you wonder why you put up with that hard drive for so long. With quality Toshiba technology built into every drive, the Vertex 460A Series is built to provide years of hard drive-humiliating performance. Ditch that spinning mechanical hard drive for some storage peace of mind. Buzz3D upgraded to OCZ’s Vertex 460A SSD series to combat their frustrating bottlenecks and discovered reduced seek-times, speed improvements, and boosted productivity. Learn about how our quality philosophy delivers premium solutions to customers through advanced product development and testing processes. OCZ SSDs offer industry-leading low latency, enabling faster access to data and a more responsive computer. Optimize an old notebook or maximize a modern PC. It’s through cutting-edge technology that OCZ has set itself apart from the rest. Our secret sauce is in our advanced suite of flash management. With innovative storage features, OCZ promises to change your computing expectations and live up to the hype of using an SSD. Worried about the lifespan of flash memory? OCZ increases durability and maximizes the life expectancy of the flash in each SSD. OCZ SSDs deliver lasting performance and reliability long after the initial ‘fresh-out-of-the-box’ experience. SSD technology enables 100x greater throughput, quicker boot ups, faster file transfers, and overall snappier performance than hard drives. When considering performance per dollar, SSDs are more cost-effective than their mechanical counterparts. The non-mechanical design of NAND flash mounted to circuit boards is extremely durable, unlike HDDs and their rotating disks and seeking spindles. SSDs use significantly less power than hard drives, promoting a longer battery life in notebooks, less power consumption, and a greener computing environment. With no moving parts, SSDs run virtually silent in your notebook or PC to eliminate distracting noise during gaming or entertainment. For more information about SSDs vs. HDDs, SSD FAQs and tutorials, please visit the OCZ SSD Guide.